This is an interview about the evolution of a woman who loves helping children, adults and farm animals live productive lives in full-health! I first started learning healing 20 years ago to test which foods my kids might be allergic to. My teacher was Carolyn Lee Tubman (of Maryland). Although I learned good allergy testing techniques, I personally had trouble getting accurate answers about what we were sensitive to. Efrat taught us how to increase our clarity and commitment with people we helped using standard Jewish prayers and intentions (kavanot). 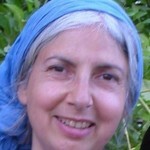 Since then we both also had the good fortune to study with Haya Winiarz (www.divineintegrationhealing.com) in Efrat, with Alexander (Sasha) Fridmar and Efim Svirsky (ToraHealing.com) in Jerusalem. These teachers all bring a more sincere and loving healing through connection with our Creator and ourselves. Meanwhile, I accidentally invented a diagnostic trick using people’s names. Also, I have developed a fun way to get streams of information on our lives (based on Julia Cameron’s Morning Pages in The Artist’s Way). I call the latter “Google Chat Healing,” and of course Skype and in-person works as well. Although I take my responsibility as a healer very seriously, it is also a lot of fun! To study Family Constellations with other people who see life as I do, who want to help each other, who are open to the joy of trauma relief–these are things I hold very precious. I have witnessed people’s faces changing permanently after undergoing a Family Constellation–going from hardened and angry to relaxed and grateful in one hour! I feel blessed to see the same changes happening in my treatment room: The light, the love, the smiles, the sense of connection to good, the exhilaration–these are all part of the miracles of my everyday life. I am so grateful to HaKadosh Baruch Hu for entrusting me with His children as I walk their journeys with them.